Quignog is a lost English word that used to be spoken in Cornwall, England. It means a ridiculous notion or a pipedream. For us and you, it means a way to realize this pipedream. We know how ridiculous every dream sounds. We also know some of them come true. In its truest sense, it is a democratic, entrepreneurial journey to become an author. Unlike self-publishing, it is merely your bridge to traditional publishing. It provides you a fair opportunity to realize your dream. At Quignog itself. Unlike self-publishing, you work with the team of a traditional publishing house. Unlike self-publishing, quignogging takes your book to the retail book-stores across the nation. Publishing with Quignog, or Quignogging, as we like to call it, is simple. Submit a synopsis of your story and the first three chapters of your manuscript to us at lab@quignog.com. You could refer to our manuscript submission guide as well. Along with the sample chapters, indicate the Quignog plan or the supplements you are interested in. We will call you personally and work with you in making your book a reality. After submitting the manuscript, an ISBN will be assigned to it and the process of converting it into a book will commence - for the first steps being cover and book interior design. Followed by proofreading. 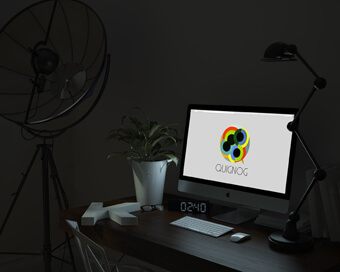 The entire process will be managed by the core Pirates and Quignog team with frequent inputs from your end. Within three months you will be able to hold the book in your hands. What are the publishing plans? There are four costs associated with any book, the publishing cost, the printing cost, the distribution cost and the marketing cost. While our Select plan offers you a finely designed book (ebook and paperback) available on online retailers. The Beyond plan takes your book to the book stores. The bookstore model requires a larger inventory and a complex distribution process. Please speak to us about the Beyond Boost plan which is enhanced with marketing and editing supplements. Are there any hidden printing costs? You do not have to bear any separate cost for printing the book. We make sure your book is printed from a world class printing press, and adequate inventory is maintained. At Quignog, there is no limit to the earning you can have. We offer entire profits on every book sold. As the number of books sold increase, you keep earning. Refer to our Roi-calculator to get an estimate of the return on your investment and how much money you could earn through your book. How can I make my book a bestseller? I wish we could answer that. We have seen book-sales as high as a million. Indian market is booming and more and more people are reading. Books are a preferred choice for gifts. It only depends on the power of your book to stand out. We act as facilitators and mentors. But the book is your product, and only you can make it big, through your writing and, sometimes, your personality. What do I need before I can get published? If you have written something that you feel is worthy of a book then you are ready to Quignog. All you need is a manuscript to send us and anything beyond will be taken care of. Of course, you should have a strong will to become a published author. Refer to our 'How to Submit your Manuscript' guide to better your submission, but frankly, that is only suggestive. Go by your gut. Will my book be physically printed? Yes, and if you choose our BEYOND platform, it will be printed and sent to bookstores across India. In SELECT, the book will be printed and made available to partner online platforms like Amazon. Will my book be available at the bookstores? Yes, if you choose our BEYOND platform. Currently, no other platform offers such distribution, because none of them has an established physical distribution network like ours. Which bookstores will my book be available at? Beginning with the major bookstores in tier 1 and tier 2 cities, to the interiors of the country depending upon the pull of the book. If the book sparks, we have the reach to turn it into a fire. Do I have to spend beyond the package fee? No. WYSIWYG. You can, however, choose to hone the book and its run with the supplements of editing, marketing etc. Alternately, you can also choose our supplements a la carte, without going for the package. Will you proofread my book? One round. Always. The book cannot leave the Quignog office without proper language check. You may be sure of your story but we need to be sure the syntax is right. That is where books are made. Increasingly, even the traditional publishing houses pay less and less attention to proofs. We know how that pisses off us, the readers. How many free copies will I get? Five. You can always purchase books from us at the trade discount. How much will I have to pay for any additional copy? Any copy that you order from us can be available to you at the actual printing cost. Shipping and handling charges may apply. Can I just buy the editing service? Yes, why not. You have the menu. You choose. You can choose only ISBN allocation if you so choose. But we will always encourage you to publish with us. Will you market my book? We will set-up Facebook and Goodreads pages and advertise the book on our social platforms. But beyond that, you will have to supplement the book with one of our marketing tools. Read our resource guide to Build Your Brand to see how book and author positioning should work. Is there any tax on the plan fee? We are GST ready. Presently, sale of books in India isexempted from GST. Our plans and supplements are tax inclusive. You only pay what you see. Author royalties are under the Services under Reverse charge. So we will pay 18% GST on your behalf on the royalty you earn per book sold. How long does it usually take to publish a book? Depending upon the platform and the additional supplements you choose, anywhere between 1 to 3 months. How do I know the number of pages of my book? Roughly a book would have 300 to 375 words per page. This is merely an indicative number which can only be confirmed after typesetting the book. Will I be the owner of the copyright of my book? Yes, you shall always remain the full copyright owner of your work and not only that, we offer free counselling regarding the allied IP rights of your copyright. Trust us, this is important. Refer to our 'Understanding Copyright Law in India for Books' section. Can I publish poems, autobiography, self help or an anthology? Yes, anything that expresses your original voice. Can I publish an illustrated children's book? We look forward to unique creative content. An ISBN is an International Standard Book Number. ISBNs were 10 digits in length up to the end of December 2006, but since 1 January 2007 they now always consist of 13 digits. ISBNs are calculated using a specific mathematical formula and include a check digit to validate the number. In India, Government of India allots ISBN to publishers. We allot a unique ISBN to each book we publish. It helps track the book through this unique ID. Bar code of the ISBN is a standard stock keeping tool for distributors and retailers worldover. An unpublished book is a manuscript. If you have one, don’t wait. Quignog now! How to get visibility in newspapers and other media platforms? At Quignog, we believe that visibility is a very important step in your publishing journey. Hence, we offer the Book Marketing supplement, which specifically works towards this. How to price a book? Book pricing is an art. Inputs costs are the first tool in deciding a price. Customer's willingness to pay for that product, genre or book thickness is another. Market analysis gives us some more insights. We are happy to help. Play around with the ROICalculator to know more. How to decide the size of the book? Different genres are usually sized differently. A visit to the bookstore will suggest market trends. Book racks are also accordingly designed. Sometimes breaking the trend is also fun. Each time, it’s a creative exercise. The raw paper which makes your book comes in specific sizes. Printing machines are also of specific sizes. We need to operate within these constraints to make sure the costs don’t shoot up. How much does a plan cost for a photography book? Colored photography books incur the highest printing costs. We would need to customize a plan as per book specifications. But, we would love to. Write to us at lab@quignog.com. Can I get coloured photographs or illustrations in my book? Sure! Anything that adds to the feel of the book, you must. We are happy to work out the costs for you and make sure you don’t have to compromise. What is the initial print run for my book? We work on a minimum inventory model. That helps us optimize costs. For the Beyond plan, we try and work with a print run between 500 to 1000 books. That also depends on the pre-orders requested by the author. Is there any tax on selling books? Under GST, selling of books is tax exempted. Therefore, currently the sale of books is tax free. This is subject to the latest government regulation. Can I sell books directly also? You are free to order books from us at the cost price. We will ship the books directly from our warehouse and you can sell them how-so-ever you feel like. How are the ebooks sold and what is the royalty on ebooks sold? We prefer exclusive Kindle deals in the Indian market. You are free to explore other options. We also work with authors who wish to sell their ebooks directly from their own Amazon accounts so that you can directly enjoy the royalty from the ebooks. Can I sell ebooks myself? How does a publishing contract look like when I quignog? To be fair and transparent, we execute a Licensing Agreement with you. The author will grant Quignog a license to publish the book for all territories and for the entire term of the copyright. Unlike, other publishers, you have a well defined exit clause at any point of time. Under which imprint will the book get published? Can I opt out of my arrangement with Quignog after publishing the book? Yes, we have a clear-cut and well-defined exit clause. You can end the licensing agreement by giving us a six-month notice period and paying for the existing inventory, returns, etc. Can I publish works of other writers, journalists or photographers? You cannot publish any material of which you are not the copyright holder. This is a crime.